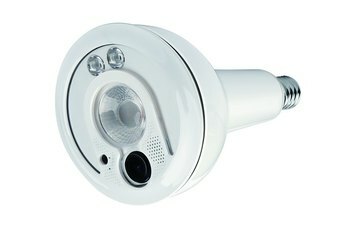 The cameras are completely wireless, making them easy to use indoors and out. The Arlo cameras run on long-lasting lithium batteries. 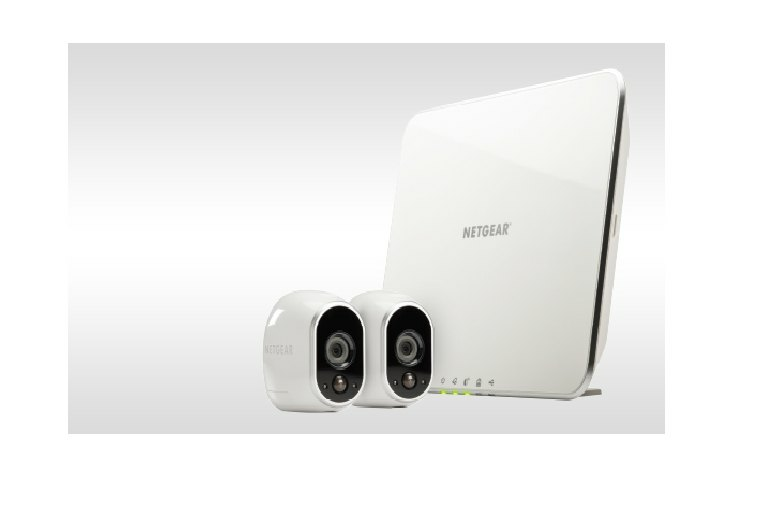 Netgear offers varying levels of cloud storage, including a free plan that meets the needs of many users. The Arlo does not include microphones, so no audio is captured. The cameras do not include any pan and tilt mechanisms. The motion detection picks up all activity near the camera, and you cannot specify that it exclude certain areas. 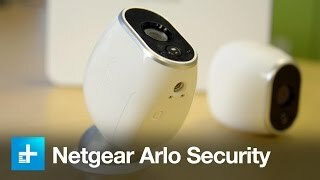 Netgear’s Arlo Security System combines two of the most sought-after features in home security cameras: It records video in high definition, and it does so without wires. 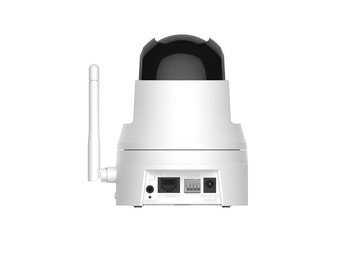 Yes, Arlo is a true wireless security system. 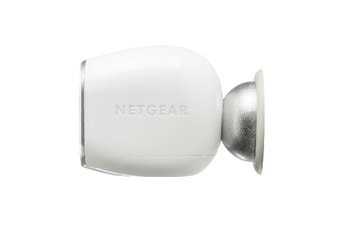 It features two small cameras that can be attached inside or outside your home with the included magnetic mounts and a hub that you connect to your router. 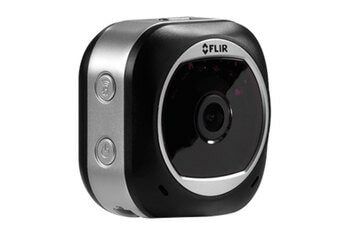 The cameras connect to the hub wirelessly and run on lithium batteries that can last up to six months, so no wires are needed. They include motion detection sensors and capture video that can be live streamed or played back on Netgear’s mobile apps or Web hub. The white plastic cameras are no larger than a tin of tuna, so it's easy to hide them out of sight. 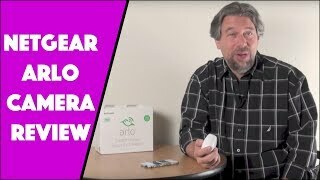 The only gap in Arlo’s long list of capabilities, is that there’s currently no way of recording video to local storage. Setting up Arlo is quick and painless, and once you're up and running is easy to configure thanks to its rules-based system. You don’t have to be technically savvy to set this up, it’s really easy. The camera I installed outside never faltered, despite being subjected to single-digit temperatures and wind-blown snow for several days. One thing we found pretty worrying about the storage was users’ inability to fully delete videos off the cloud. The most glaring weakness of the Arlo is that the camera doesn't provide any audio. The lack of sound can become a problem if an intruder is in your home but out of the camera's field of view. Plant these beauties in and around your home for an impressively solid system that's unmoved by shifts in the weather. Just make sure you keep CR123 lithium batteries handy. While magnetic mounting makes mounting and moving cameras about a breeze, it also makes them easy to pilfer. Because of the cute factor, you’ll want to mount them well out of the reach of cats and kids. 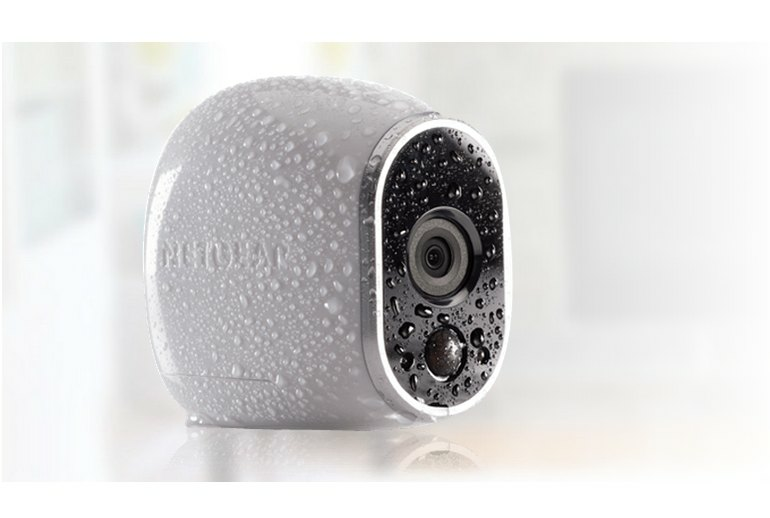 Because it’s an outdoor camera, it can withstand rain and sun without a problem. In fact, we used it during the “Rainpocalypse” in California, and there was no downtime or damage. 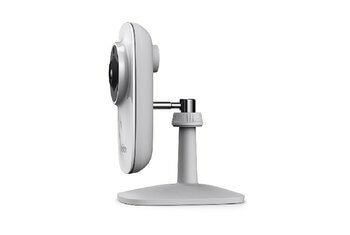 Arlo is really easy to set up. Like, really. In my tests, I was alerted about 50 times (via email alerts and app notifications) whenever some minuscule motion occurred. When I turned down the settings to require more motion before sending an alert, I missed some of the moments I might have wanted to capture or see. The entire system still requires a base station, something the company says is necessary to use ultra low power WiFi.